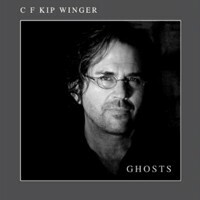 Earlier this month Kip stated, “Just got back from a European tour with Winger; we did 16 shows from Spain to Greece and everything in-between. And now I am really looking forward to experiencing the world premiere of Ghosts with San Francisco Ballet! Most people don’t know that writing music for ballet has been a life-long passion of mine, but not just to write a rock/pop piece for dance, to write a legitimate classical piece of music. When I was 16, a girlfriend of mine pressured me to take a ballet class! She hated it, but I was instantly hooked, especially by the music from the Ballet Russe era. Over the years I studied music as much as possible. My schedule as a rock musician, which doesn’t leave much time for anything, led me to an auto-didactic approach out of necessity, but I managed to stay with it, fueled by the passion and inspiration of someday seeing world-class ballet dancers performing to my music. Years later I met Zippora Karz who at the time was a soloist with NYC Ballet. It was incredible for me to go backstage and meet the dancers and see performances. In the rock world you don’t meet too many people who know the name Helgi Tomasson or Peter Martins. It was fantastic to have that experience. After studying a few years with a new composition teacher, Michael Kurek, and being heavily impacted by the works of various composers, for example Honegger, Ravel, Adams, and Vaughan Williams, I began writing. The 1st movement grew out of the first five measures of the cadenza. When I was finished, I sent it to Zippora and asked her to contact Christopher Wheeldon. In my mind, this piece was always for Chris. Not only from seeing his amazing work, but I had an instinct about it. I emailed an mp3 to him and held my breath. Now, everyone in the creative world knows that there are many ups and downs. One hundred no’s to one yes. For me this was one of those magical times when the universe is watching over you. A few weeks went by and I woke up to an email from Chris Wheeldon. subject : “I love it !” Wow!! I have to admit I let out a major rock and roll YEAH!!!!!!!!!! He then said, “Now, can you make it 20 minutes?” So I set out to write two more movements; all in all the piece took about a year and a half to finish, given my schedule. “I love Ghosts and hope to (with your permission) use it for San Francisco Ballet next year”. After several months the phone rang, it was Chris telling me he will be in San Francisco to set the ballet in a month or so, oh and by the way, is there anyway you can make the piece four minutes longer!? I was panicked for a few minutes and then the amazing flow of inspiration came over me and I wrote what is now the second movement in two weeks.